"Dr. Rohan Bhansali is an friendly - caring excellent doctor." "Dr. B. is the best!!!" "I have recommended Dr. Bhansali to several friends." "I am not young (88) and have been dealing with doctors for a long time. I've had good ones, but Dr. Bhansali is the best ever. #9. The most. #10. Already have. " "I will recommend my nice doctor to anyone who need his help. Thank you. God bless, Dr. Bhansali, he is a good doctor." "Dr. Bhansali is a very caring, compassionate, warm and comforting doctor with a wonderful personality." "Dr. Bhansali is always very attentive and helpful and always makes me feel at ease. I have been seeing him for a number of years now and always find him to be very caring and knowledgeable." "I would not trade my doctor for no-one - Dr. Bhansali - is the best in my view -"
"Dr. Bhansali is so caring, and really listens to you. and he's genuinely glad to see you!" "I have already recommended this provider and been used. " "Dr. Bhansali concerns is excellent. He listened to my concerns and answered all questions." "I have been with Bhansali for years. I value my life with him." 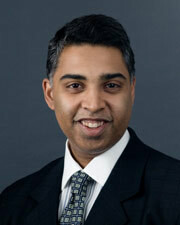 "Dr. Bhansali is one of the most caring, warm and friendly physicians. I am so happy, her is one of my doctors!" "Could not ask for a better dr."
"Dr. Bhansali is a warm, intelligent doctor who explains to me why I need to be on a new medication it is, and has it will help me. He cares about me as a person, not just my blood pressure. " "As you can see by my answers, everything is the best. 9. The best. 10. Already have. " "I feel very comfortable talking to Dr. Bhansali about my health concerns. He is very professional, knowledgeable and shows great concern to his patient's health conditions." "Dr. Rohan Bhansali, is a very nice person. We like him as our doctor. Since we have been coming he has tried hard with my situation. I trust my doctor he is NO 1. Thank you." "My daughter, who is a Northwell employee recommended Dr. Bhansali to me several years ago. With his care and guidance, I went from being 40-50 pounds overweight, requiring coronary ablation and cholesterol medication to losing the weight and running 20-25 miles per week. One of the best doctors I have ever been treated by." "Dr. Bhansali is an excellent physician." "Dr. Bhansali is very caring and supportive. He listens to me and makes me feel part of the process in my medical care." "Was beyond excellent and I always recommend Dr. Bhansali." "Dr. Bhansali is extra special in every way caring, careful, knowledgeable, even in other than his own specialty. 5. Extra special. 9. And beyond. 10. Already have. " "Dr. Bhansali represents the highest level of competency & care that should be a model for all physicians!" "Caring, courteous. Shows concern. " "Dr. Bhansali is a wonderful caring dr. He answers all questions & puts my mind at ease when I'm worried." "Best doctor - very good in his care for you." "Dr. Bhansali is a wonderful physician and takes time to explain everything. All providers should be as caring and concerned as he is about his patients." "Dr. Bhansali is the nicest doctor I've ever meet. I would go see him anytime he's a great guy & easy to talk to. " "Doctor Rohan D. Bhansali is an exceptionally nice person in every way and may God bless him in many ways, and all his staff. Thank you all very much." "Dr. Bhansali is an excellent doctor." "Dr. Bhansali spent a lot of time with me and made me feel very comfortable and at ease." "My dr. is terrific. I have the utmost confidence in him. " "He is very good doctor. Yes I do." "Dr. Bhansali is one of the finest physicians I have ever met. He is one 2 doctors who is most responsible for my taking the steps I needed to improve my health and physical well being." "I left South Bay Cardiology to take Dr. Bhansali as my cardiologist." "I can safely state with confidence that I trust Dr. Bhansali with my life." "Very good. Rohan D. Bhansali MD. " "Even though I am a recent patient of Dr. Bhansali's, I found him to be an excellent, knowledgeable and caring physician with a great bedside manner. He doesn't rush you and answers all questions in an understandable and helpful manner. I only wish that my other doctors were like him." "Dr. Bhansali was courtesy & professional. He was highly praised and respected. He listened to my father's concerns and provided compassionate feedback. He truly exceeds our expectations as a provider. Thank you"
"I have many positions involved in my healthcare. That includes a gastroenterologist, a pulmonologist, and internist, the gynecologist, and endocrinologist. Dr Bhansali is the person I go to with all of my questions and concerns. I trust him with my life. Actually he saved my life." "This provider makes me extremely trusting with his decisions concerning my medical condition, gives me assurance, and relaxes me considering the worries that could could emerge with heart disease." "Very good experience, provider always took time to explain my medications & my treatment. 9. Great." "very friendly, knowledgeable, professional and patient"
"He is an exceptional doctor who is trust with my life." "Total confidence in Dr. Bhansali's professionalism and personal abilities." "My doctor is very pleasant, kind and understanding. He is easy to speak with and understanding." "Dr. Bhansali was excellent. Excellent bedside manner, listens to you without making you feel rushed. Answered all question thoughtfully. He is the best doctor I have seen." "Dr. Bhansali was very professional & caring." "Dr. Bhansali is the best - He listens & really cares - #9. Excellent." "Dr. R. Bhansali is a very excellent doctor. I feel relax in talking to him." "Dr Bhansali is a great doctor"
"Very good - I will never leave Dr. Bhansali for no other - He is the best in what is doing. #1"
"Dr Bhansali is one of the few doctors that I know that actually sits and discusses everything with you in terms that I understand"
"Everything works like a well oiled machine"
"My care provider is very courteous, attentive, always supplying information, approachable and very professional." "Excellent Doctor - recommending him to all my family friends." "Very good. Dr. R. Bhansali; words cannot describe how he treated; with respect, care & love. P.S. HE LOVES HIS JOB." "dr Bhansali is a great doctor and takes his time to review and discuss any and all questions"
"After my first visit with Dr. Bhansali and he intervene with regards to my anti-hypertension, I felt 80% better the next day and have been steadily improving as the weeks go by." "I'm grateful to have a doctor as Rohan D. Bhansali. My experience is very good. Thanks Dr. Bhansali. God bless you." "Dr Bhansali is a great caring doctor. He has seen many family members and understands the family history." "My doctor; Dr. Bhansali is the best for me." "I am very PLEASED with the care my provider had gave me & "thank you."" "I would definitely recommend him to others." "The staff & MD are a pleasure." "Dr. Bhansali was so caring and totally put my mind at ease." "Dr. Rohan Bhansali is the best - he is simple - brilliant - smart - experienced -"
"There is every reason to be happy, satisfied, and highly impressed by the knowledge, professionalism and the caring concern dispensed by the care provider." "My experience with this doctor have been very positive so far." "Excellent rapport w/patients knowledgeable, thorough!"